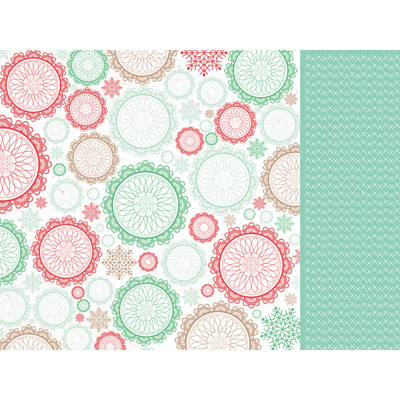 From the Holly Jolly Collection by Kaiser Craft, this 'Gleeful' 12 x 12 inch paper features a pretty red and green snowflake design on one side and a green cross pattern on the other. Great for Christmas projects! Acid & lignen free.